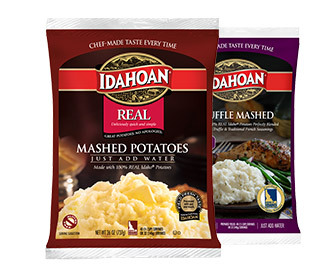 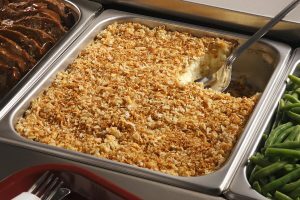 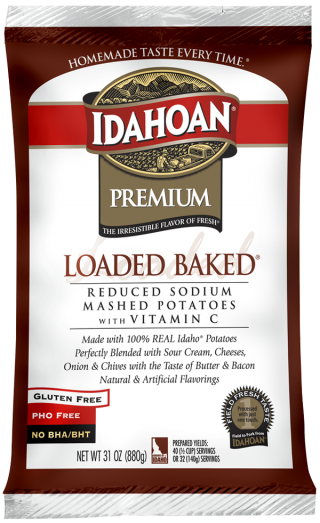 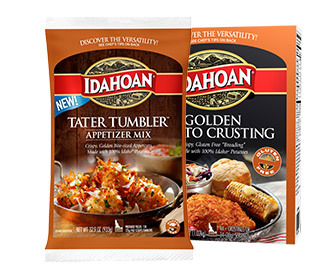 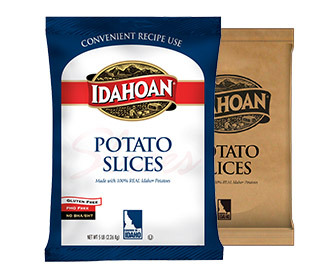 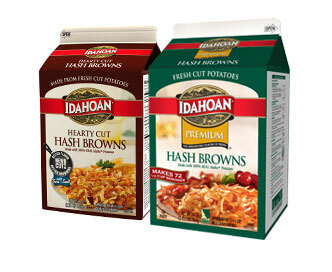 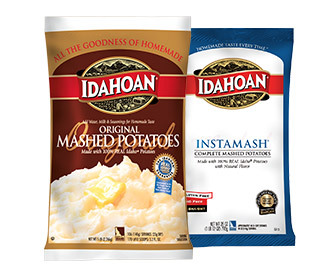 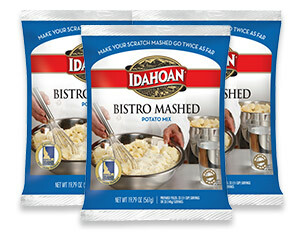 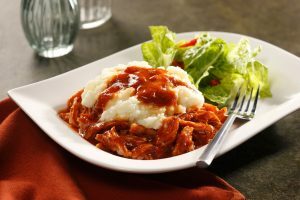 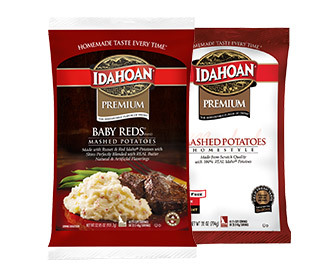 Idahoan® Loaded Baked® Mashed Potatoes has all your favorite baked potato toppings – sour cream, cheese, onion & chives with the taste of butter & bacon – all mixed with 100% REAL Idaho® potatoes. 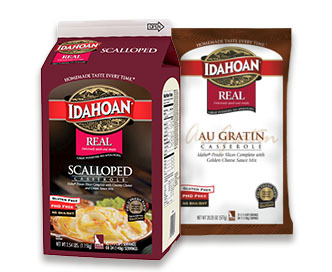 Now with Reduced Sodium and added Vitamin C! 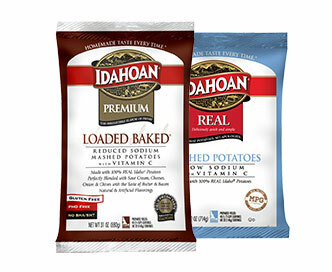 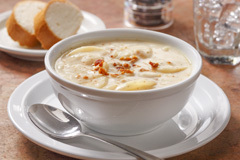 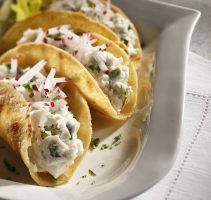 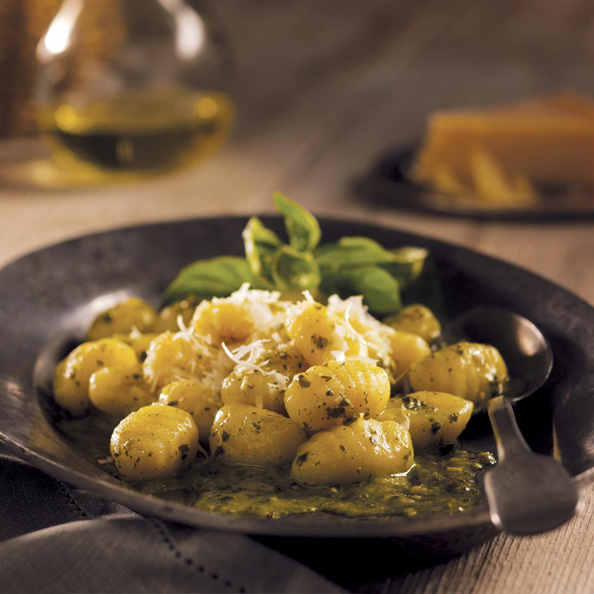 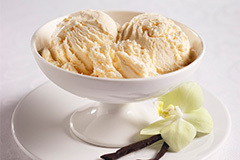 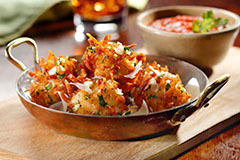 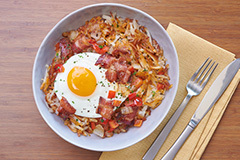 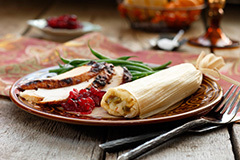 Idaho potatoes, vegetable oil (contains one or more of the following: soybean, sunflower, cottonseed, canola), corn syrup solids, whey, textured vegetable protein (soy flour, caramel color, soybean oil, salt, natural flavoring), salt, sugar, nonfat dry milk, mono and diglycerides, maltodextrin, dehydrated onion, sodium caseinate, calcium stearate, sour cream (cream, nonfat milk, cultures), cheddar, blue, romano and parmesan cheeses (pasteurized milk, cheese cultures, salt, enzymes), reduce lactose whey, calcium stearoyl lactylate, spice, hydrolyzed soy protein, autolyzed yeast extract, whey protein concentrate, artificial color, disodium inosinate and guanylate, natural and artificial flavors (including smoke), sodium acid pyrophosphate (preserve freshness), sodium bisulfite (preserve freshness), vitamin c (ascorbic acid), citric acid (preserve freshness), mixed tocopherols (preserve freshness) and less than 2% silicon dioxide (anti-caking agent).